I originally wanted to see this movie simply because as a child of the 1980’s I wanted to see the retro video game graphics. There where plenty of appearances of our favorite classic video game characters. Overall this movie did not disappoint. 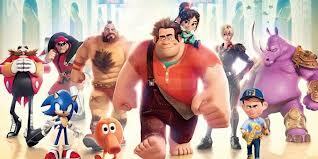 We first meet Ralph, the bad guy in the video game Wreck-It Ralph, at a meeting for bad guys in video games. This meeting is known as “Bad-Anon”. This meeting appears to be a type of twelve-step program for villans. Here we get a glimpse of real video game villans like King Koopa from Super Mario Brothers. Ralph tells the group that after 30 years of being the bad guy he is sick not getting respected and no longer wants to be the bad guy. This sends the group into a frenzy as they warn Ralph not to mess with his game’s programming. Even in these early scenes I began to think how people react to us when we tell them that we are ready to live for Christ. Often when you make this announcement to your friends they react in much the same way, trying to convince you that being bad isn’t bad. 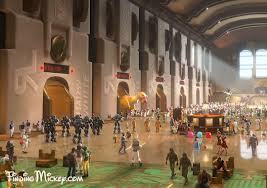 One of the things I found most creative in this movie is the use of the Game Central Station. Game Central Station is a power strip that all the games are plugged into. Once the arcade is closed the characters are free to move about into other games. Using this service Ralph returns to his game to find that all the characters in his game are having a party celebrating their 30th anniversary. Ralph was not invited to the party and this upsets him. He decides to crash the party and finds out that he was not invited because the Nicelanders, the people who live in the building that Ralph wrecks, are either too scared of Ralph or believe that he wrecks everything he touches. When Ralph tries to prove that he is nice he ends up proving the Nicelanders right by wrecking the cake they had made. Ralph is upset and decides to set out on a quest to earn a medal and become a hero. Before heading out on this quest Ralph decides to stop off at a game, via Game Central Station, called Tappers. This game of course is the local watering hole for game characters. As soon as the game begins Ralph realizes that he is in over his head. The group of soldiers are attacked by a large group of bugs known as “Cy-bugs”. Ralph, not knowing how the game is played, ends up getting the first-person shooter killed. The first-person shooter is the kid playing the game. He is then scolded by the games leader SGT Calhoun. While that is going on Ralph notices a giant beam of light coming from a tall tower. All the “Cy-bugs” are drawn to this light and when they hit it they are destroyed by it. Ralph also realizes that this is where the medal is. He runs to the top of this tower to claim his unearned prize. While in this room, which is full of Cy-bug eggs, Ralph gets over excited and steps on the Cy-bug eggs. Once again Ralph wrecks something even though it was not his intention. One of the hatched Cy-bugs attacks Ralph and he tries to get away by jumping into a spacecraft. A Cy-bug is also in this craft with Ralph and they go bouncing around through Game Central Station and they crash-land in the game “Sugar Rush”. Meanwhile, Fix-It-Felix Jr, the protagonist from Ralph’s game, goes on a search for Ralph. 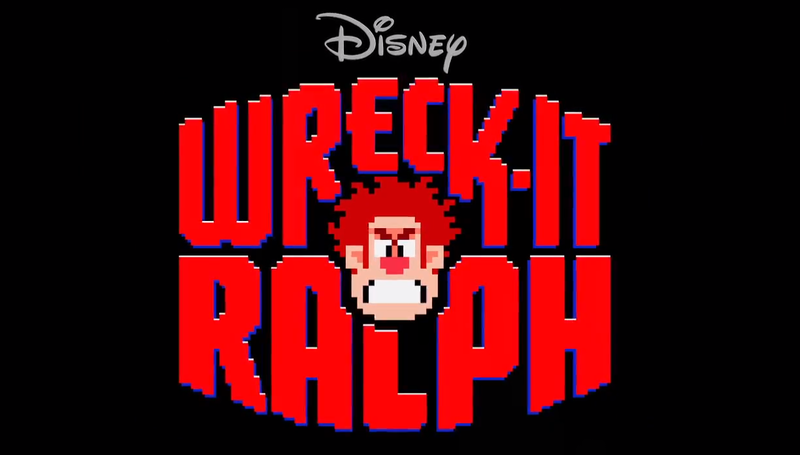 A kid in the arcade attempts to play Wreck-It Ralph, but when Ralph doesn’t show up the kid assumes the game is broken. The owner of the arcade places an “Out of Order” sign on the game. This worries the others in the game because if they become unplugged they die. If they can not find Ralph this could become a real possibility. Ralph see’s his medal hanging from the top of a candy cane tree. While climbing the tree to retrieve his prize he meets a little girl named Vanellope Von Schweetz. Vanellope proves to be quit annoying from the beginning. She even beats Ralph to his medal and runs away with it. Ralph is now forced to track her down. 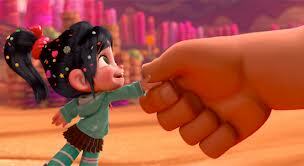 Vanellope uses Ralph’s stolen medal as a coin and enter’s Sugar Rush’s race. The top 9 racers along with King Candy, their ruler, get to race the next day. This is how the game selects its racers each day. The King sees that Vanellope has entered the race and is angry. He demands that his police catch Vanellope. Before that can happen Ralph finally catches up to Vanellope. While on the starting line Ralph ends up destroying the arena. King Candy has Ralph arrested and brought before him. He realizes that Ralph is game jumping and this troubles him. Ralph says that he just wants his medal back. The explains that the medal is simply code now. The only way to get it back is to win the race. Ralph and Vanellope form a truce. Ralph agrees to help Vanellope win the race if she will give him his medal back. While we are in Sugar Rush we find out that King doesn’t want Vanellope to win the race because she is a glitch. If she is allowed to race she will show up as a racer the next day and if kids see that she is a glitch it may lead to Sugar Rush being “Out of Order” or even unplugged. SGT Calhoun and Felix finally catch up to Ralph in Sugar Rush. They try to convince him to leave, but he won’t until he gets his coin. At that moment we find out that the Cy-bug has reproduced and turned into a virus of sorts. Everyone tries to leave the game, but since Vanellope is a glitch she is unable to leave her game. This made me think of how each one of us is a glitch of sorts. He have all fallen short of the glory of God. He are broken and sinful. He are not how God created Adam and Eve. We are glitches. What’s more is we are unable to leave this world when we are surrounded by Cy-bugs or sin. We can can only rely on our hero Jesus to save us. Of course the forces of good prevail against the Cy-bugs. There is a twist also as we find out that King Candy is none other than Turbo! We also discover the Turbo put a virus on Sugar Rush and we find that Vanellope is not a glich and actually Princess of Sugar Rush. This too reminds me of our sin and how Christ’s blood covers all of them and we are no longer gliches, but heirs with Christ. We in a sense are princes and princesses of Heaven. Once order is restored in Sugar Rush all characters return to their own games. Ralph returns to Fix-It Felix Jr, but now he is respected by the Nicelanders and Felix. Ralph is still the bad guy, but as he says in the closing scene back at Bad-Anon, he is taking it one game at a time. Like I said before overall this film did not disappoint. The use of 8-bit graphics at the beginning and end of the movie are great. When the camera zooms out and shows the arcade you are able to see real video games both new and old. The story line is great as the “bad guy” gets to save the day and become the hero. It gives us all hope that while we can be the bad guy at times we all have the ability to become the hero. I found this to be a decent kids film and enjoyed some of the homage to classic video games. Now I just need to get my boy to stop calling everything glitchy.
) I will come back once again since i have book-marked it.